As stated in an announcement from the Provost’s office last week, there have been some changes to the Title IX committee. This committee guides the process of sexual assault and misconduct reporting on campus. 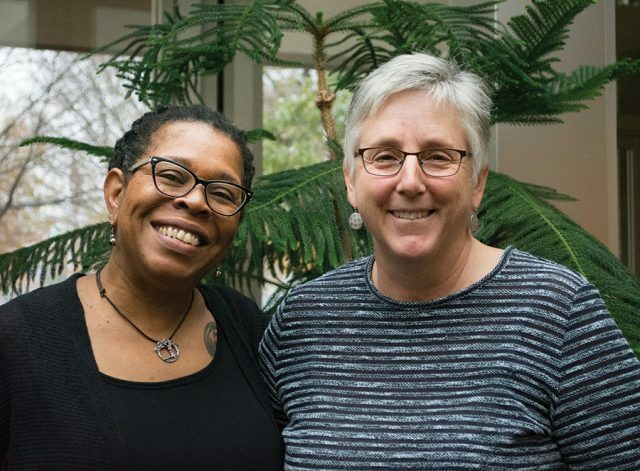 Effective November 10, the roles of two long-time faculty members and sexual violence advocates will be shifting: Beth Martin Birky, professor of English and director of women’s and gender studies, will become a member of the committee as a deputy coordinator. Regina Shands Stoltzfus, professor of peace, justice, and conflict studies, will move into Birky’s previous role as faculty advocate. The Title IX committee consists of Ken Newbold as coordinator, and four deputy coordinators from different parts of campus. Steph Miller represents athletics, Norm Bakhit for human resources, Gilberto Perez, Jr. for student life, and now Birky who will represent all points of access for students in the reporting process. Formerly, Birky served in the role of faculty advocate, a confidential resource to students who may not want to report after an incident, but want to talk to someone and explore their options. With the exception of the faculty advocate and the coordinator of the Prevention and Intervention Network (PIN), all faculty members are mandatory reporters of sexual assault and violence. Having confidential advocates available on campus is a way in which Goshen College is trying to provide a variety of resources to their students. Now, as a deputy coordinator, Birky will be moderating intake of all sexual misconduct reports, whether they are online, via phone or email, or in person. If a report concerns solely students, Birky and Perez will focus on the case as representatives of student life. If an employee were involved, the report would be sent to Norm Bakhit, and if the report concerns issues of gender disparity within athletics, the report would go to Steph Miller. Newbold only becomes involved when either the complainant or respondent file an appeal to a Title IX committee decision. This must occur within 72 hours of the decision’s communication and meet certain criteria, which are lack of due process or the discovery of new evidence. Both Newbold and Birky consider mandatory reporting as a safeguard for equitable process. Because all faculty members are held to the same standards, it does not allow for the diminishment of an individual’s experience or inhibit the due process of Title IX guidance. In the wake of Secretary of Education Betsy DeVos’ recent rescission of the Dear Colleague Letter guidelines, many students on our campus and other campuses have raised concern that Title IX processes will no longer be survivor-centered. Sexual assault does happen on our campus, a fact that Newbold, Birky, and Stoltzfus fully comprehend and are working to address. Because this week is Sexual Violence Awareness Week, visibility of issues of violence has significantly increased, specifically in the clothesline project at Shrock Plaza. Dozens of shirts with stories of survival and trauma hang as reminders that survivors are with us everywhere we go. Other events this week highlight different forms of violence, healing, and advocacy. Events include Purple-Out, yoga night at Mosaic, a letter writing event protesting the Dear Colleague Letter rollback, and conversations with sexual assault advocates, like Birky, Stoltzfus, and PIN coordinator Kendra Yoder. However, these events only touch on a few of the ways students and faculty can be involved in issues of sexual violence and healing.